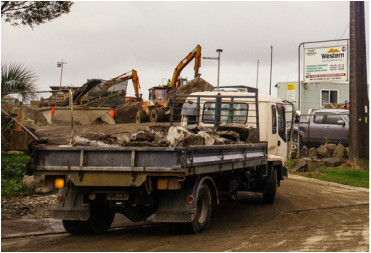 ​Once we process your waste concrete or soil, it is then available as quality product suitable for a number of uses. Our crushed concrete products can be used for bulk filling, such as new house or factory bases, new driveway preps, existing driveway repairs, drainage projects, retaining walls, site access etc. The soil products we produce can be used for building up new lawn areas, filling exterior retaining walls, and especially our screened finishing soil which is suitable for new lawns or repairing old ones. Crushed concrete fines produced via a 20mm screening grid. Very popular for finishing off. Crushed concrete ranging in size from 20mm to 40mm. This product is dry screened to remove fines and may be suitable for retaining wall work or access on muddy sites. We also have a range of other products such as, landscaping rocks, bagged cement. If you have a project in mind, give us a call to discuss.